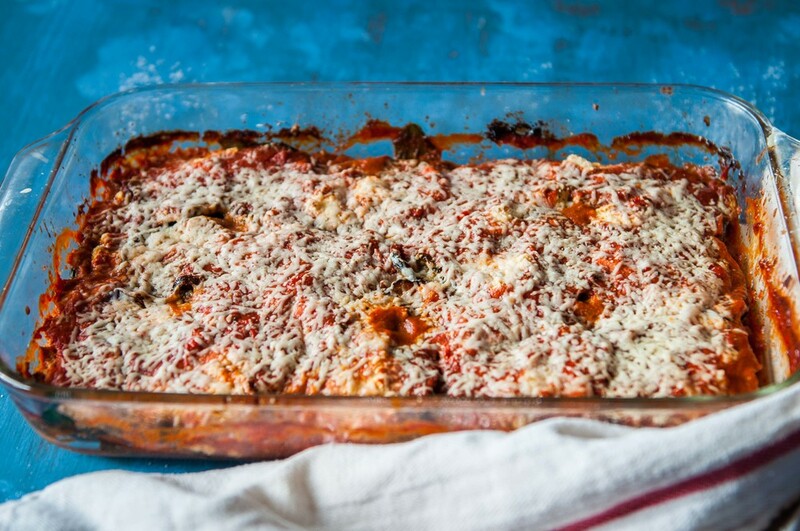 Eggplant Ricottina is a rich, all vegetarian comfort bake perfect for your SuperBowl Potluck! No, No.. This is not my Valentine TEASE! That is coming later this week. This really is about me finding some things I enjoy, and, allowing myself pleasure in them, in the aftermath of life little twists. Anyway, now I am discovering hidden depths in me. Long, long ago, so long ago, I had this odd talent for doodling. All through the boring classes in solid state circuits and electrical machines, I drew vases and faces instead of taking notes.. that is until there were circuit diagrams to draw. That I would with a passion, which, is probably the reason I got an engineering degree. That was my rebel phase. Yeah, really. I know, it is sad. Doodling in class was about as far as I got. Oh wait, once I skipped class in the middle of the day, hitched a hike and wait for it, spent the rest of the day in a boy's house with a bunch of people and his mom, who as I remember made really yummy snacks for us. Well, despite all that honest mischief, I was roundly prosecuted at home. Well, that put an end to it all. I grew up, got serious, worked and studied, got a business masters, traveled the world and came to New York. And, here I am 10 years hence. My 30s attempt at coloring... Poppies are one of my favorite flowers for their vibrant jauntiness! I was into mostly black and white and monochrome before, really because I didn't have watercolors on hand. Besides, that style suited my personality back then, pretty binary. Then came this blog, all that food and photography. My world is now revolving in colors and as many red as I can fit into my life. Four years ago, I nervously walked in a Bergdof Goodman store and bought my first ever red lipstick. If it wasn't for the lovely gay salesman and his impeccable taste, I so would not have picked it up. And, then where would I be today? Still stuck in my boring monochrome. So, yeah, you unnamed person, you can chalk this one up to your karma; you brought life to a naive soul. So, there began a journey of falling in love again. With the vibrance of life, with the possibilities, with new thinking and several overhauls followed. Some difficult, many hard and still more continuous, but all good, atleast in hindsight. Here I am now. I picked up the pencil and brush again. On a whim, one weekend last year, after binging on Instaporn of photographers with artistic talents (and silently resolving that I can be one of them too), I picked up some basic artist stuff. This was after I spent hours marveling at all the options and all the aisles bursting with amazing talent just waiting to happen. I dreamt, I bought, I contributed to the booming economy. Oh Jonas, you saved my second self! Then they languished the rest of the year, looking forlonly on my momentary burst of enthusiasm. Until Jonas. Oh Jonas, you saved my second self! As world outside my window brushed itself in stark shades of white, I promised myself lots of color. More than just the colors, what I got this time was a reconnection with inner peace. Everything they say about the pre-graduation days is very true. Without a doubt they are the best and most carefree days of your life. No matter what you are going through then, it is still a lot better than anything else, or even the same thing happening when you are 10 years older! So, if there are under 21 readers out there smirking at this blog, please don't. You will saying something similar in a few years; Just enjoy and make the most of what you are doing and where you are, because tomorrow is rarely guaranteed to be better than today! To be fair, I feel atleast I didn't spend my pre-twenties yearning for being older. Just that now that I am I would like to timetravel just for a while each year, into the feeling of then but the reach of today! ha! The important thing in that want is that feeling I had back then - an unhurried, restfulness that allowed me to be content in the moment, confident in myself and without anxiety about the future. I kept mulling about that desire for a while. Even though they have not yet figured out time travel, I still believed that feeling could be recreated! I mean, it afterall is all in the head right? So, I cast about looking at options. Even the whole Instagram indulgence nudge didn't work. It was not until a baby shower (and, a reminder kick in my head to get a move on about my desires) that I chanced upon a possibility! I am hooked. I made some good paints and some pretty bad ones. But, they all gave me the momentary sense of peacefulness and involvement that I was so craving amidst the constant hustle of the big city and big dreams. I was also surprised with my own mindful coloring book from him. So, I am all set. If you are still looking for a wonderful gift for an artistically inclined someone you love, this Valentine's day or JustBecause, I would highly recommend a starter paint set from a craft store or just hit up Amazon! Slice the eggplant into 1/4 inch thick rounds. Grill them with a little oil and set aside. Drizzle olive oil generously on the base of a baking pan (i used a big tray about 17x12"). Spread about 1/4 cup of crushed tomatoes. Arrange one layer of grilled/sauteed eggplant evenly. Salt and pepper. Drop chunks of ricotta around the pan. Spread half of the remaining crushed tomatoes on top of the spinach and drizzle a little olive oil. Place a second layer of eggplant, spread remaining tomato, drop remaining ricotta. Bake covered at 350 F for 1 hour. Remove the cover, sprinkle gruyere on top and bake open for 30-40 minutes.